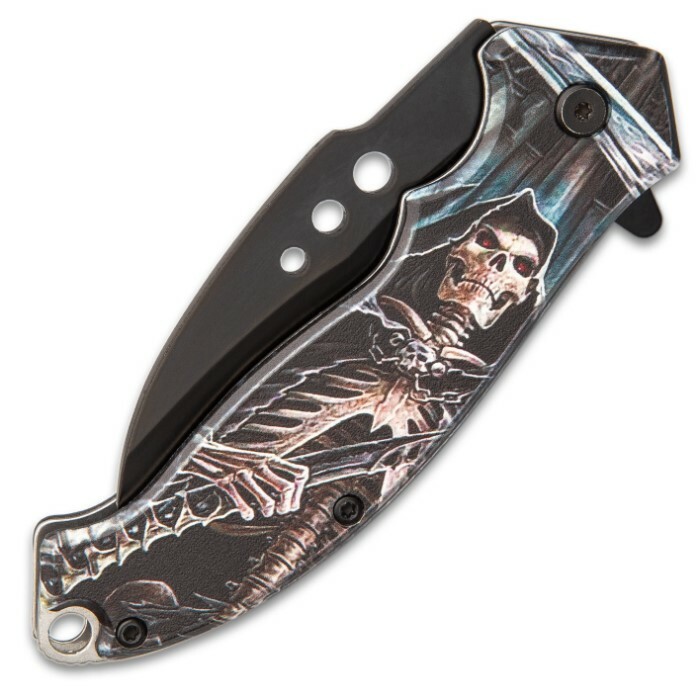 Our Lord of Death Assisted Opening Pocket Knife is dark and menacing with its skeletal Grim Reaper, who haunts its handle, and dark blade that looks suspiciously like Death’s life-taking sickle. 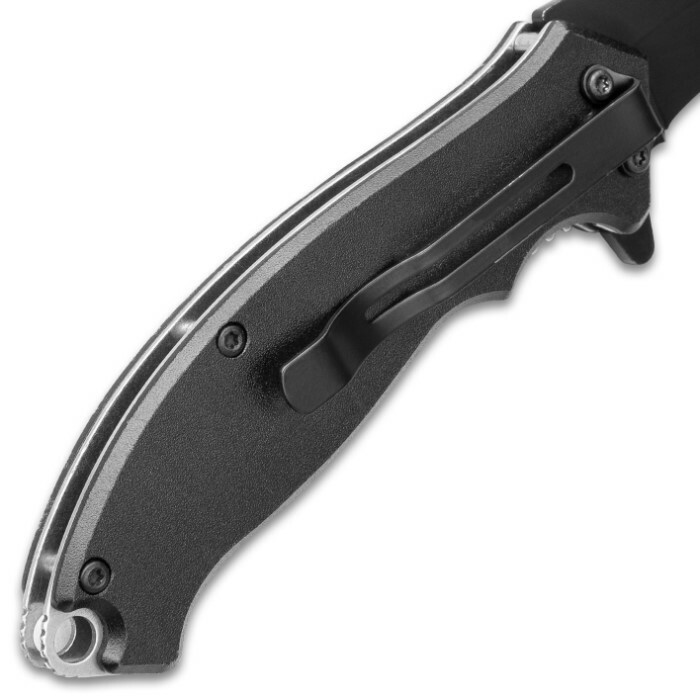 The pocket knife has a keenly sharp 3 1/4” black stainless steel upswept blade, which features thru-holes and a flipper. 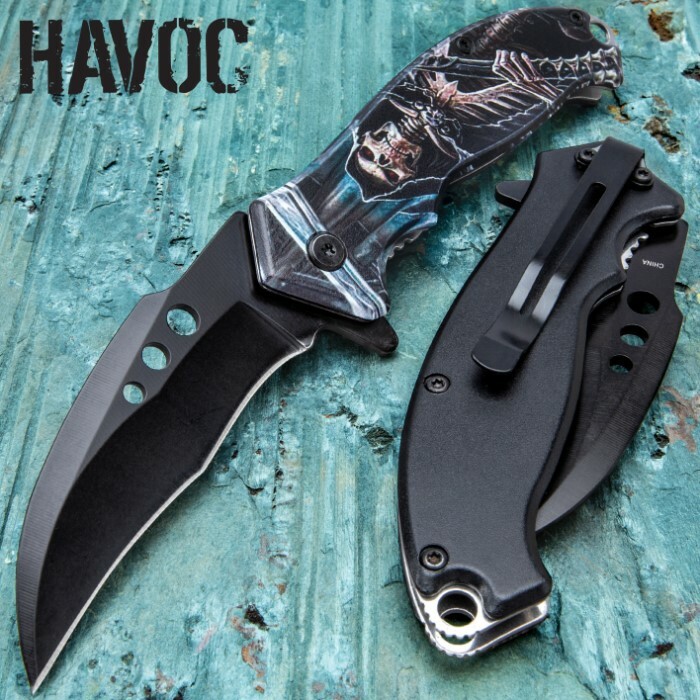 The handle scales are aluminum and one side features highly detailed, 3-D printed artwork with a deathly theme. The liners are of stainless steel and are extended to feature a lanyard hole for an option of carry, aside from the pocket clip. 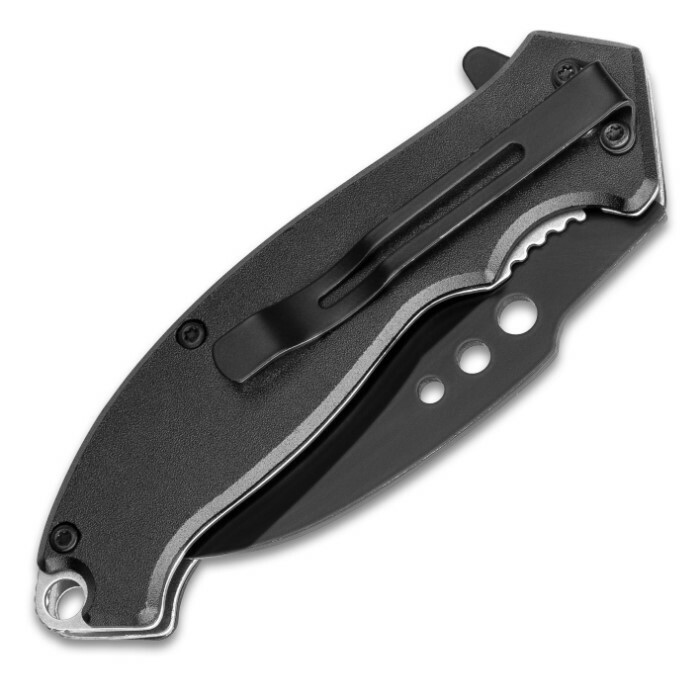 The assisted opening fantasy pocket knife is 5” when closed and 7 3/4” when fully open. This knife is not just a beautiful piece of artwork, but it is very functional. It was a gift and my son in law shows it off frequently!